Where are they the most popular? The social networks we included in this survey were MySpace, Facebook, Hi5, Friendster, LinkedIn, Orkut, Last.fm, LiveJournal, Xanga, Bebo, Imeem and Twitter. Google Insights for Search makes this quite easy for you. For a search term (for example “MySpace”), it will highlight the regions where that search term is the most popular. Google calls this “regional interest”. This “regional interest” should give a good indication of which regions (in this case countries) a social network is most popular in. Google also provides a nice heat map of the results. We have included the heapmaps for all the social networks below. If you needed confirmation that social networks are global affairs, that should do it. There has been quite a Facebook craze here in Sweden (where Pingdom is based) the last year or so, but Sweden didn’t even break the top 10 when it comes to “regional interest” for Facebook, as Google puts it. This would indicate that the popularity of Facebook is quite “wide”, geographically speaking, which is something that you can tell when analyzing the data closer. To allow you to easily do this analysis for each social network, we have included a link to Google’s search statistics for each of the social networks. But now have a look for yourself. There are plenty of interesting things to discover. Dig deeper into Google’s search statistics for MySpace here. Dig deeper into Google’s search statistics for Facebook here. 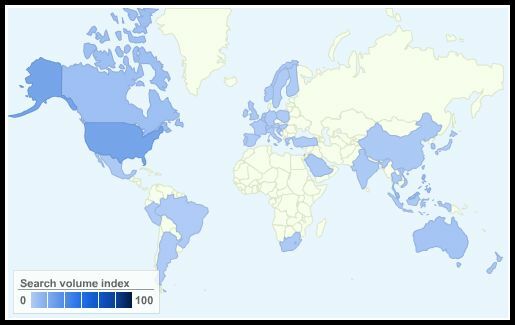 Dig deeper into Google’s search statistics for Hi5 here. Dig deeper into Google’s search statistics for Friendster here. Dig deeper into Google’s search statistics for LinkedIn here. Dig deeper into Google’s search statistics for Orkut here. Dig deeper into Google’s search statistics for Last.fm here. Dig deeper into Google’s search statistics for LiveJournal here. Dig deeper into Google’s search statistics for Xanga here. Dig deeper into Google’s search statistics for Bebo here. Dig deeper into Google’s search statistics for Imeem here. Dig deeper into Google’s search statistics for Twitter here. As we already mentioned, this survey clearly shows that social networks are truly global affairs. It also shows that the geographic focus varies greatly between different social networks. How have these differences come around? It would be interesting to see a thorough analysis of why certain social networks have reached popularity in certain countries and not in others. To some extent it could be a question of marketing initiatives, but the demographics of the different regions are bound to have an even stronger influence (in combination with the characteristics and focus of the various social networks, of course). For example, the Japanese are very used to having their cell phones being an integral part of their lives (to an even higher extent than most Westerners), which may be why they like Twitter. Most likely there are similar factors that can explain the “geographic popularity” for all the different social networks, but perhaps they are not quite as easy to discern. Tip: When using Google Insights for Search you will get more data if you are logged in to your Google account. Odd that BlackPlanet.com is not mentioned in the study. Are minority SNs being discounted in this study? i am getting more and more Facebook requests each day so i must say we are catching fast 😉 of course pretty less number of tweets from India i agree. You are omitting PLURK, one of the fastest growing social networking sites around today. It is an interesting and very nicely put together survey here, but without PLURK, it is not close to being a complete list. Interesting study, but misleading in that it leaves out local social networks. For example, the most-used social network in Japan is Mixi, which isn’t covered by this survey. I am not surprised by LinkedIn’s popularity in India. There are so many hi-tech companies there with ties to the USA, that I’m sure this is indicative of the networking going on between IT folks in both countries. Le Monde published an interesting map of each region’s favourite social networking site a while ago, it’s good to see you continuing the search but you might find the list of sites you chose is quite US-centric. 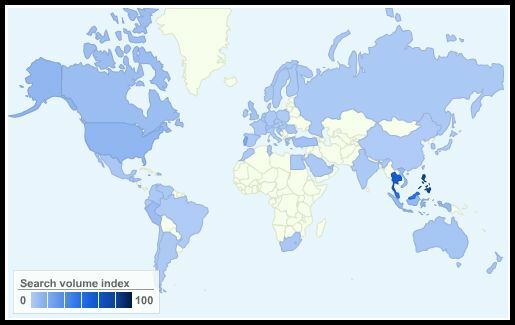 Using Google Insights with the networks mentioned on the map we see that the Japanese love Mixi, South Koreans love Cyworld, so there is some difference of opinion between the two sources. And as a couple of you pointed out, this of course is not a complete list of all social networks. That would have been way outside the scope of this article. @Brett: Thanks for the kind words. You have a good point there regarding LinkedIn, networking and India. It definitely makes sense to look at it that way. I find something missing here… the study is fine.. but haven’t we forgot the fact that Google Inights for Search is only to predict the search usage geographically and not the site usage? Lets take the first link as example – http://www.google.com/insights/search/#cat=&q=myspace&geo=&date=&clp=&cmpt=q … the link only shows the usage of search term “myspace” by geographically and not the site’s popularity! 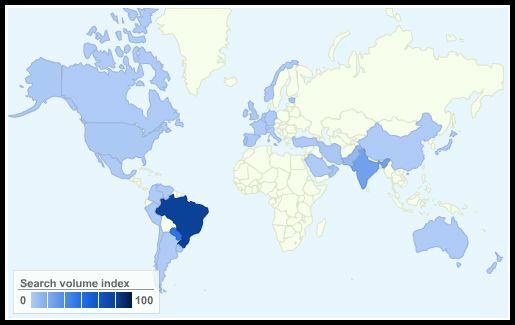 So does with others… every query you have witnessed only shows you how well a search query is popular among people from various country but not the sites popularity. Google Trends for Website would have provided more detailed analysis to the point you are trying to explain here. I really doubt the outcome of survey provides usage of Social Networking around the world..I would rather call the “search query” on Social Networing platform around the world. To help you more.. look at the page below.. where you are show “alternative searches” & “rising searches” which is pretty evident to the fact we aren’t viewing a popularity of a website but the popularity of a keywordor search term typedin. Is it only me or anyone else who got the point of what I am talking here? How about some stats on overall global popularity . . . . what are the 10 most popular social network sites? This will get the point I am talking on..
1) http://trends.google.com/websites?q=linkedin.com&geo=all&date=all&sort=0 – Shows LinkedIn is popular in US! 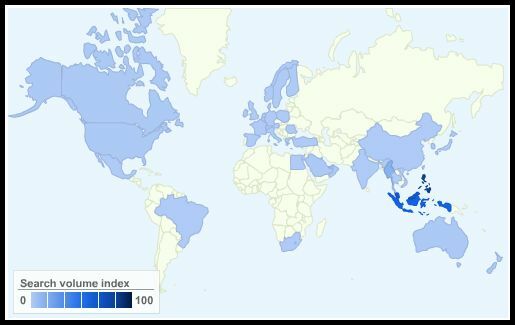 2) http://trends.google.com/trends?q=linkedin&geo=all&date=all – Shows “linkedin” search query is popular in India! 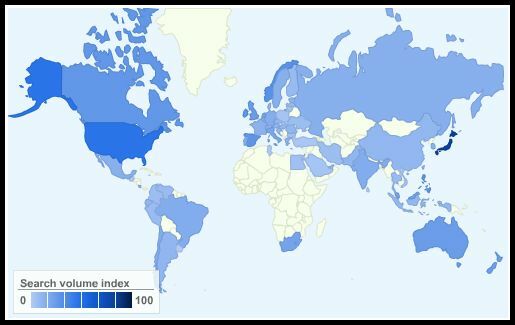 Verdict: Google Insights for Search shows your popularity of a “keyword” geographically and not the website itself. 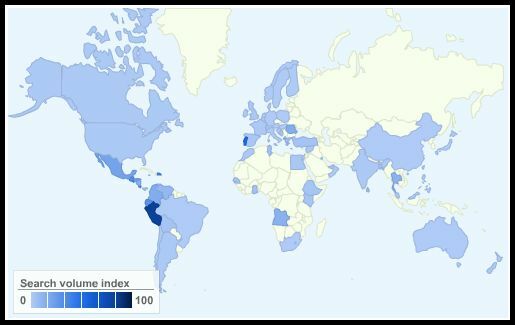 When you are looking at a result of “linkedin” on Insights for Search.. the result you are about to see is search volume of a keyword classifed “country” wise. At the end.. when a company is ranked No.1 doesn’t mean the site is popular there..but the “keyword” is..! I do agree with Vinay. What’s you’re providing is about search and not popularity nor distribution of social networks. Google Trends and Alexa would have been better tools for popularity (since catching with hits). good points, but not relevant for a serious analysis of international markets, imho. stats about people searching for a keyword might provide a sense of popularity, but not of active users, which is what really matters. What is the reach of each network in each market? this is the data that we need. And because it is valuable, it is not available for free (we would need a comscore, nielsen account in order to check reach, active users, time spent, et cetera). google insights for search is, again, interesting, but it must be taken with a grain of salt, and i would definitely not take it into consideration for a thorough analysis, and even less as a relevant source of information when making business decisions. Do you think Japanese people search Facebook by its (original) English notation instead of Japanese letters? How about Chinese? Russian? If you count by roman alphabets keywords only, it will put English using countries’ stats higher. Looking at traffic numbers, active users (but from what reliable source for all these different social networks…? ), etc, would be great. BUT… If you only look at traffic, and even number of users (of the total), you are missing at least part of the point of this article, which is to find out local popularity (which we perhaps did a poor job explaining clearly enough). The problem with the “traffic” approach is that the markets (countries) are not all the same size. They have a different number of Internet users. When you only look at traffic, your results will always be swayed towards the countries with the largest Internet populations. Even if a site is hugely popular in a small country, but only moderately popular in a big country, the traffic from the big country will likely dwarf the traffic from the small country. It is therefore not necessarily a very good measure when talking about local popularity. You may also want to ask yourself what the most common reason would be for people to search for a brand name such as MySpace or Twitter. 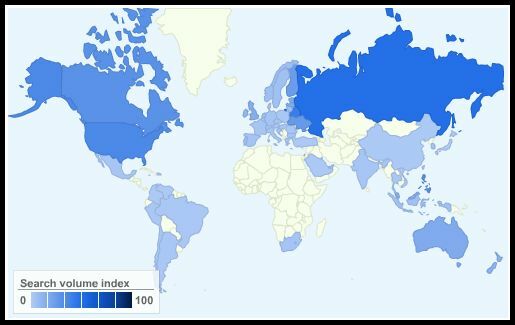 This is interesting data, even if it just shows search volume for each social network by country. I would love to see a more comprehensive study of the actual popularity of the top networks (Facebook, MySpace, etc) in each country, and also, if those networks aren’t popular in a country, which ones are? The data is limited because the survey was restricted to these 12 options. I don’t think search or traffic volume is key. Maybe we should be looking at the number of active users? @Akky AKIMOTO – You should ask Google on this.. I can only explain what I learnt from Insights for Search explains/expresses! @Pingdom .. thanks for detailed response..does have the answer I wanted on this post! Cheers for your effort! since your study includes LinkedIn, also looking at XING, LinkedIn’s competitor based in Europe, would be great, imho. Statistical reliability aside, I found it interesting that despite the “geography-less” nature of the internet, there were still strong geographical trends, like the popularity of Orkut in South America, and Friendster in Southeast Asia. I wonder if that’s because of demographic targeting/marketing, or just coincidence. Definitely curious to see followups on this kind of study, particularly if someone can estimate normalized traffic to social networks and combine that with search data and other forms of data. Nice job, anyway. I agree with Vinay, though – the searches shown in the post clearly only show the region-wise interest for the keywords associated with the sites, not usage and traffic for the actual sites. Anyway, the results are interesting in themselves. But look at imeem’s top 5 despite not having the US in it’s top 5 we see that US users of imeem still vastly outnumber all the other countries. When do you “search” something in Google? When you want to learn more about something. 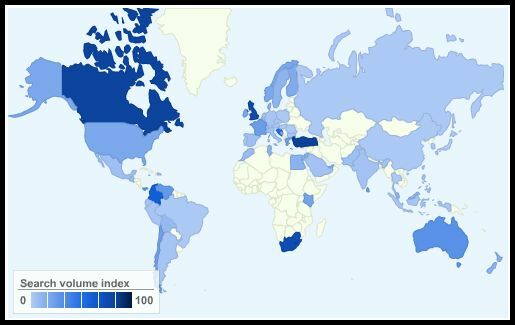 I see the data as showing where interest is growing the most internationally on one of these social networks. If I want to connect to my LinkIn or FaceBook or MySpace account I am usually doing so directly, not via Google. Heck, the only time I even remember I have an account with Friendster is in a random email. The study doesn’t claim to show what is being used, but what is being queried. And I think where you’re being queried shows where interest and growth for your company lies. I would use Google Insights as a valid option when considering growth or expansion options. In the data present I see a whole new generation of Americans learning more about MySpace, my children and step-children included. And I see industry growth in India leading the inquery of LinkIn, a business social network that I learned about through an invite not a Google search. How would you use Google Insights? 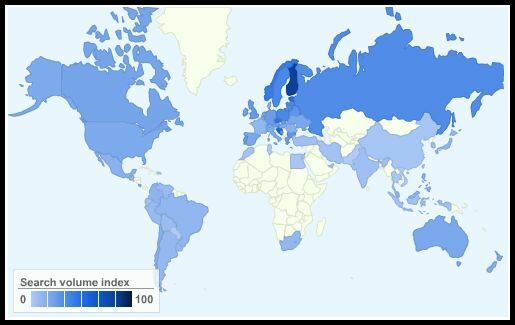 Guess this one shows how popular a social network is in a particular country (takes as 100) and how it fairs relatively in other countries. 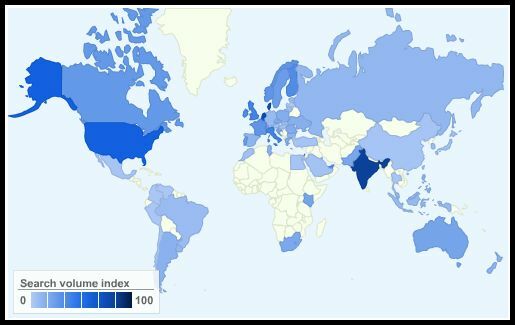 For eg: Linkedin does well in India (taken as a base at 100) than in other regions. So the chart really shows how the other regions stand w.r.t. india for the keyword search “linkedin”. It noway compares the popularity of social networks in a particular region or various regions.In the above example, though linkedin seems to be a popular keyword in India, it does not mean that it is the most popular social network there.Obviously orkut is much much more popular in India anong net users. The title is obviously misleading.Guess you guys realised what the charts and data mean really after you made this post. finding the popularity of keyword searches (social network names) in aparticular region is easy using Google insights. But the charts here are not the right ones. It is important to mention that the data retrieved was based on English Language Search Engine type-in. Japanese people rarely tend to use English keywords in search engines (for example). Therefore, the research does not quantify the real use of each SN around the world. But can give you an interesting insight…. Why is Hong Kong broken out as a separate country? It’s a city in China. Period. See Orkut as the top social network in Brazil was expected. It’s almost a synonym for Internet here (along with MSN Messenger). Great research 🙂 I think facebook will become (if not already) the number 1 social network. Being from Canada, I can confirm that Facebook is very popular here. LinkedIn seems to be generating some good leads too. If you search for “Linked In” rather than “linkedin” you will see a a different picture. 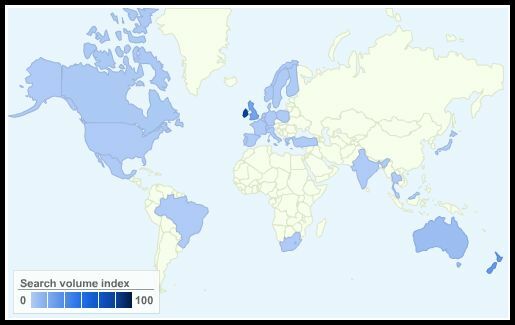 As expected it shows USA first followed by UK. India is still on place 4. Hong Kong is not a separated country of course. It’s a city in China. Our people like that. They have so many time for facebook! I think your research method is wrong and these results are misleading. People who already regularly visit their social network sites simply don’t Google them. They have them bookmarked, widgeted, turned into a custom button in their browser and whatnot. 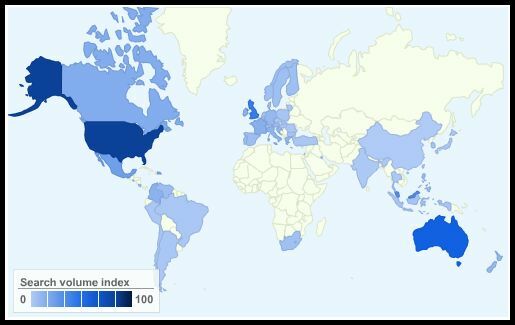 I haven’t checked but I wouldn’t be surprised if a site’s perceived “popularity” based on Google search only meant that users from top-ranking countries are just in the process of discovering the site in question. I’ll ask my readers and try to discover why Orkut is so popular here in Brazil. In Canada, Facebook is a popular social network — that is true — but there are also others such as MySpace and Orkut very, very popular among Canadians (teenagers, mostly). The most amazing trend is twitter popularity in Japan. I think Indian user base is in second position for Orkut. Amazing work. Now, with the broad strokes illustrated in the data, I would be interested to know the social implications of this trend. All of the countries leading above would certainly have a high IT literacy base, likewise, a healthy dose of infrastructure to support IT. It will only be a matter of time before other countries with less developed infrastructure follow suit. With this data, it would be interesting to extrapolate the trends from which this survey could lead to. Leaning to the extreme, would it be possible for the web community to develop a unified language of it’s own? Already, words from mother languages have been abbreviated to convey an idea over SNs by the younger generation as with text messaging. Would a universal web language unify the globe? Is world peace over the horizon? It’s funny to think about, but, hey, so was walking on the moon. This is fascinating and challenging. There are now huge community with millions of members and spanning many countries and at the other extreme millions of thinny community counting a handful of users. This is a classical longtail (as per Chris Anderson’s book “The Longtail”). This highlights once again the need for niche segments if one wants to succeed. i hope the future is towards business networking rather than fun networks. a`good example is growing popularity of linkedin.com or livebiznet.com which is a network for serious business people. Facebook is far more popular than Orkut in Pakistan. Seeing this is not complete article. Countries leading above would certainly have a high IT literacy base, likewise, a healthy dose of infrastructure to support IT. It will only be a matter of time before other countries with less developed infrastructure follow suit. With this data, it would be interesting to extrapolate the trends from which this survey could lead to. Only just found this article. I wonder how these stats have changed over the last 12 months. Would we see any big changes?